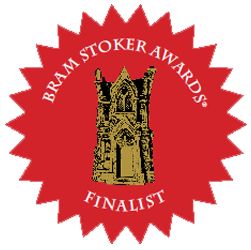 Frazer Lee’s debut novel The Lamplighters was a Bram Stoker Award® Finalist for ‘Superior Achievement in a First Novel’. His other published works include the Amazon number 1 horror/thriller Panic Button: The Official Movie Novelisation, novels The Jack in the Green and The Skintaker, and the Daniel Gates Adventures series of novellas. Frazer’s short stories (one of which received the Geoffrey Ashe Prize from the Library of Avalon, Glastonbury) have appeared in anthologies including the acclaimed Read By Dawn series. Frazer Lee is also a screenwriter, filmmaker and University lecturer, and lives with his family in Buckinghamshire, England – just across the cemetery from the actual Hammer House of Horror. Novella, Samhain Horror – ebook Oct 2015. Novel, Samhain Horror – ebook / paperback Apr 2015. Novel, Samhain Horror – ebook / paperback Oct 2013. Novella, Samhain Horror – ebook June 2013. Novel, Samhain Horror – ebook Nov 2011, paperback Feb 2012. Short story, publishing details TBC. Short story. Published in The Beauty of Death Volume 2, Independent Legions 2017. Short story. Published in Read By Dawn Vol. 3, paperback, Bloody Books 2008. Short story. Published in Read By Dawn Vol. 2, paperback, Bloody Books 2007. Short story. Published in Nocturne 5, paperback, Calvin House 2006. Short story. Published in Lunar Harvest, paperback, Calvin House 2005. Short story. Published in Maelstrom, paperback, Calvin House 2004. Runner up – Geoffrey Ashe Prize, Library of Avalon, Glastonbury. Short story. Published in Lighthouse Magazine Issue 2, Dec 2003.